The best printable valentine cards for Valentine’s Day- there’s something for everyone here! Non-candy, sweet treats, novelty toys, simple printables, and more! This post may contain affiliate links. I will receive a small commission from sales via these links, at no additional cost to you! Valentine’s Day will be here before you know it, so we’ve put together a list of our favorite valentine cards that are perfect for all ages! 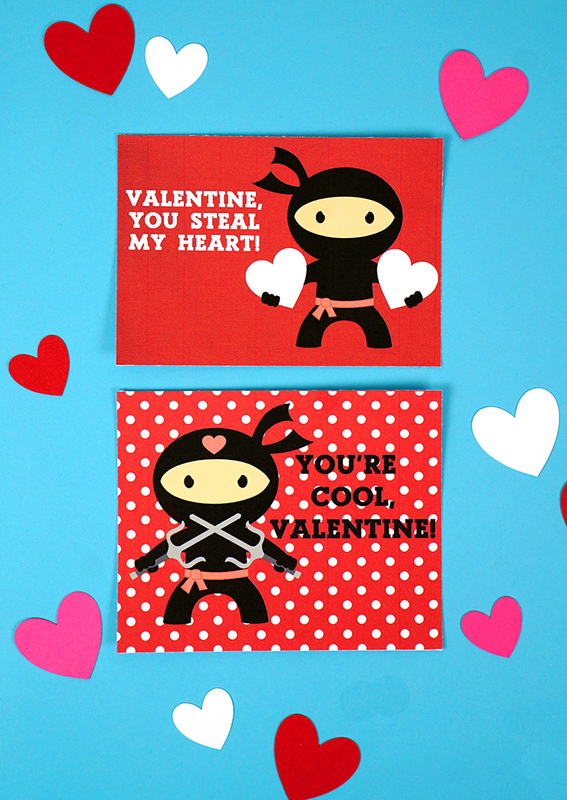 There’s something for everyone in our awesome collection of printable Valentines! 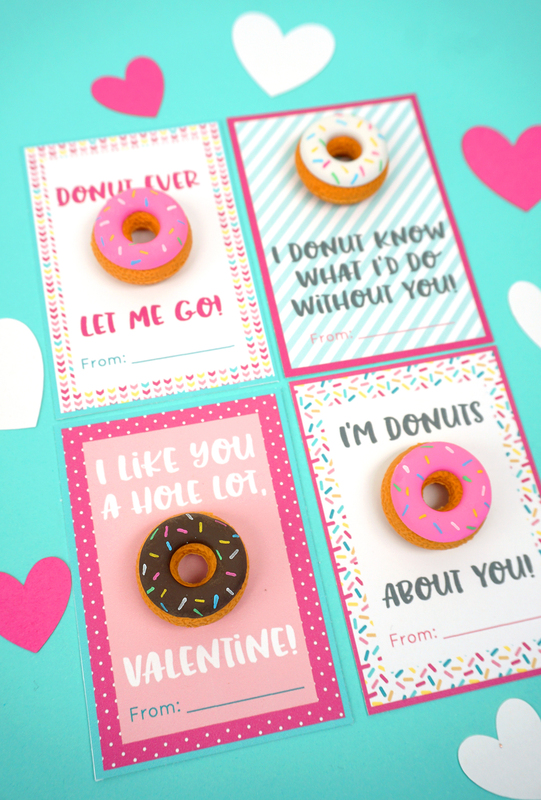 These adorable donut valentines come in two different versions – one with pre-printed donuts and one for you to add your own donut eraser or other small novelty toy! Are your kiddos obsessed with Baby Shark as much as mine are? 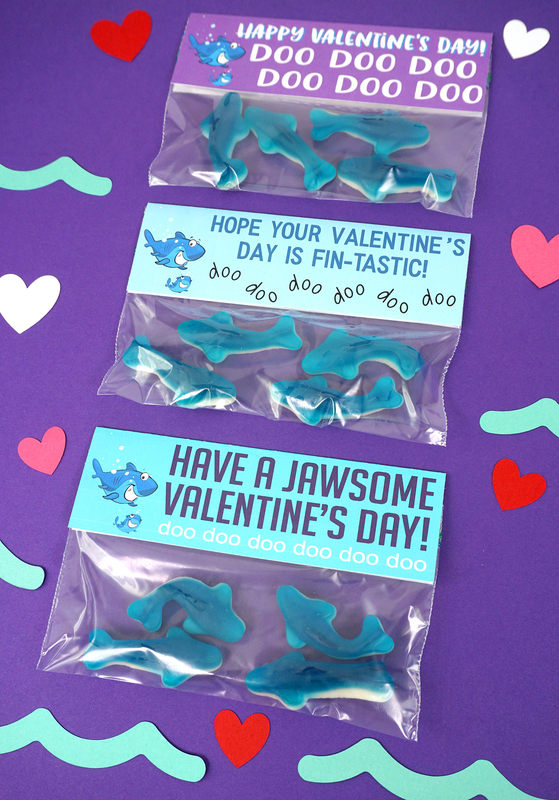 Take their love to the next level with these FREE Baby Shark Printable Valentines Cards! 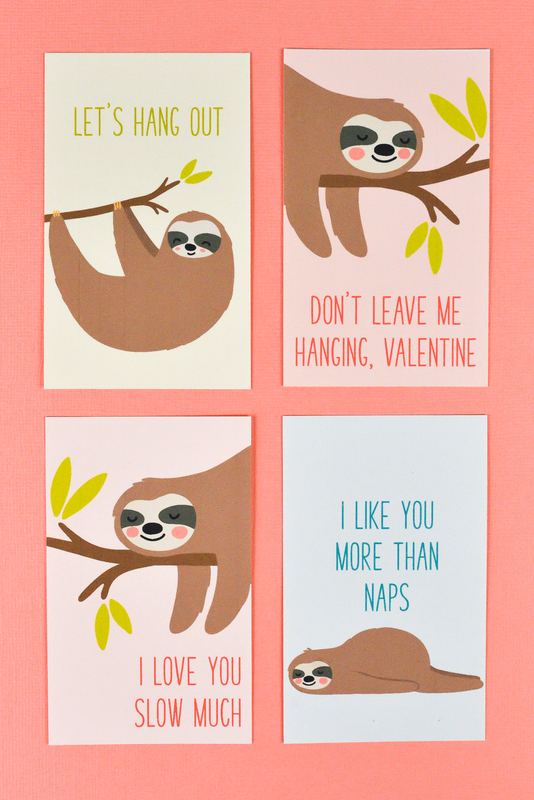 Sloths are another popular animal this year, and these printable sloth valentines are SUPER cute! There are so many fun emojis that translate perfectly into Valentine’s Day cards! I love all of these cute emoji valentines! 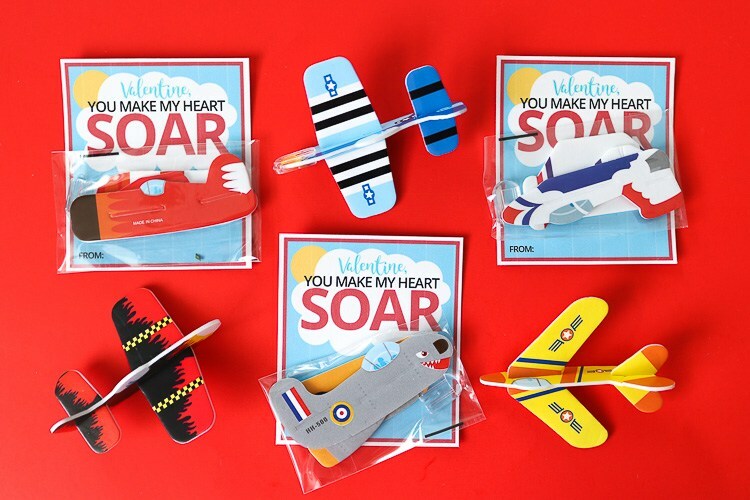 My boys would go crazy over these fun “You Make My Heart Soar” airplane valentines cards! 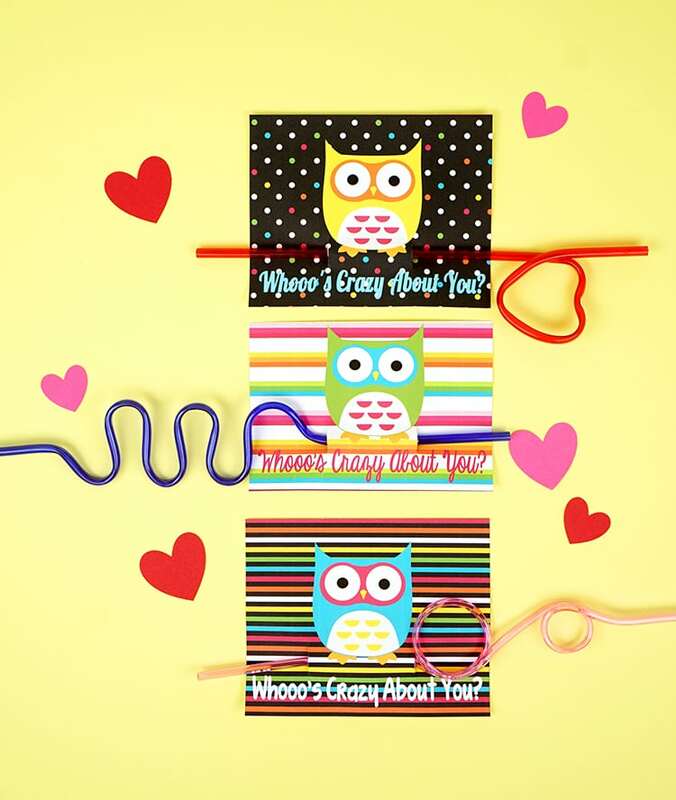 “Whooooo’s Crazy About You?” These owl + crazy straw valentines are sure to be a huge hit with kids of all ages! 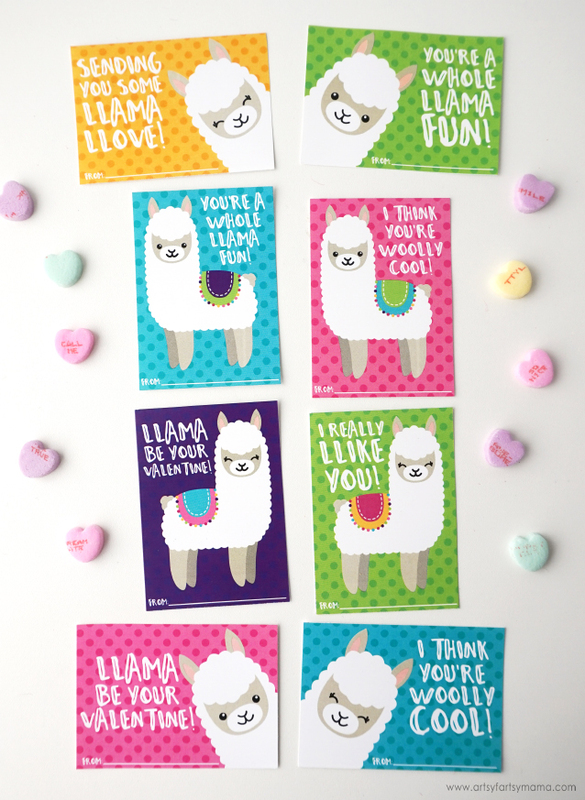 I can’t get enough of these super cute llama valentines cards! These squishy heart valentines are great for kids and adults alike! The heart-shaped squishies make a great stress reliever for adults and work well as a fidget toy for smaller hands! 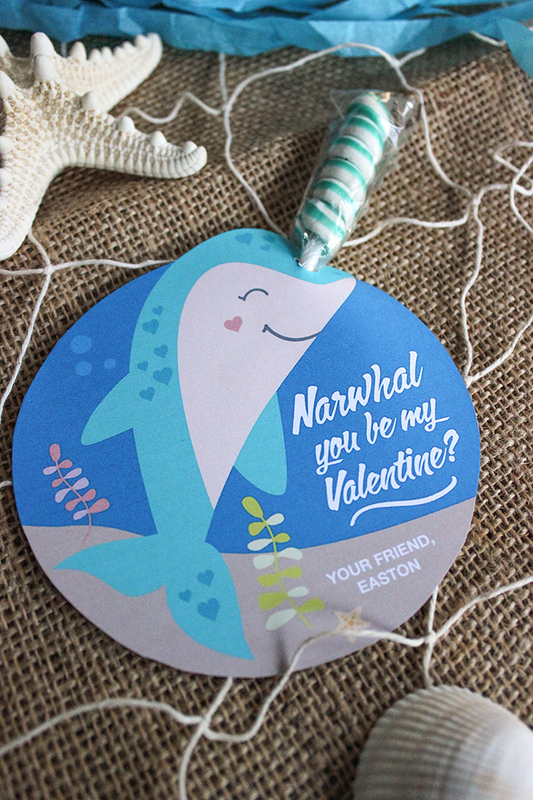 If you liked the unicorn valentines, you’re going to love this super cute printable narwhal valentine, too! 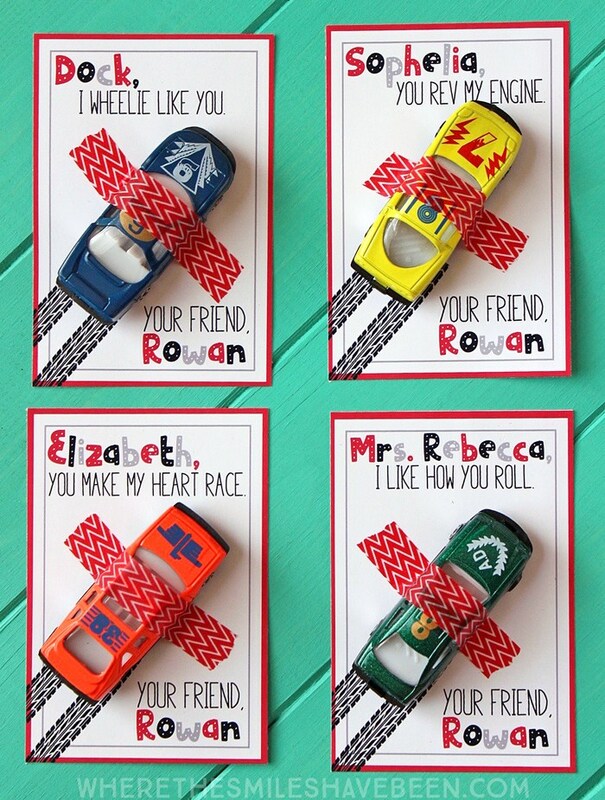 These race car valentines are so much fun! Just add an inexpensive toy car for a Valentine’s Day treat that’s sure to please! 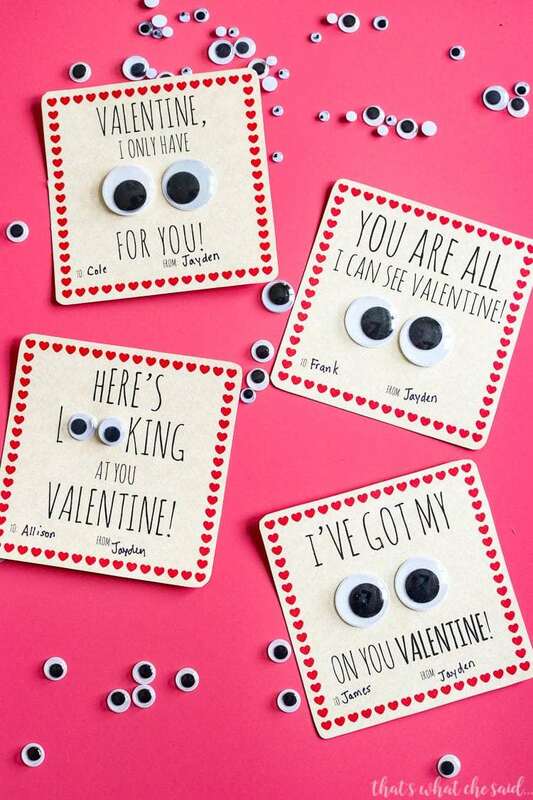 These googly eye valentines couldn’t be easier to make, and they’re a super fun and unique idea! 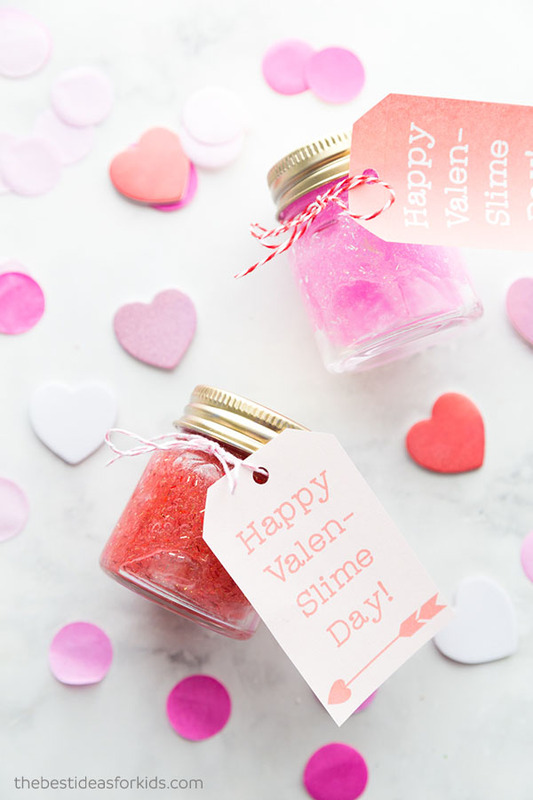 My kids are crazy about slime, so these awesome valen-slime cards are right up their alley! 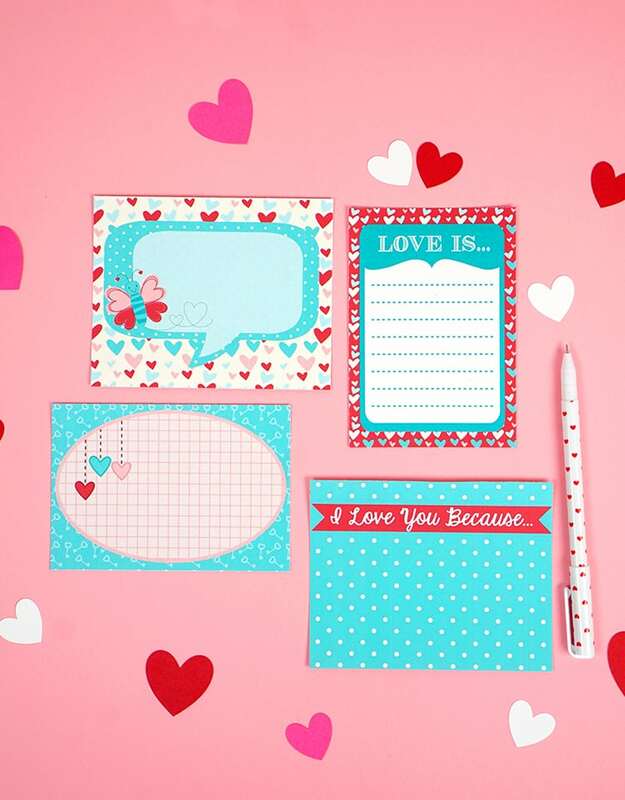 These sweet Valentine’s Day love notes are perfect for slipping into lunch boxes, jacket pockets, and more! 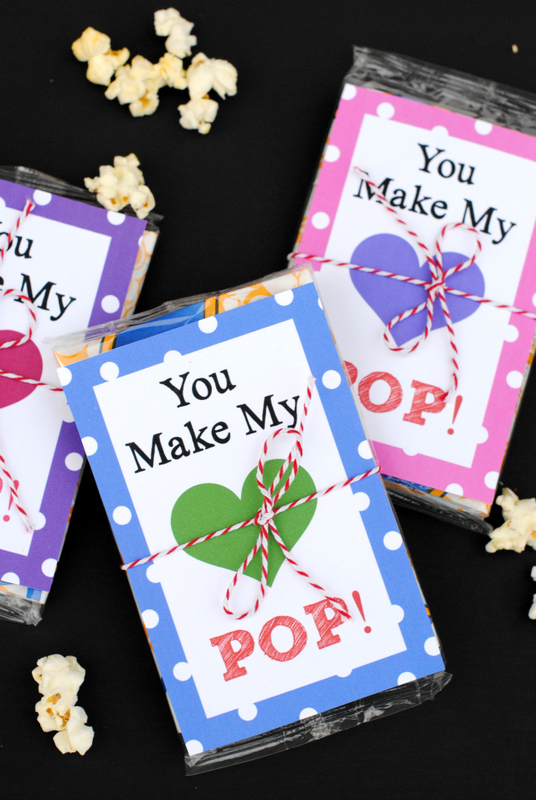 These popcorn valentines are a fun way to include a healthy (or at least healthier!) treat for Valentine’s Day! 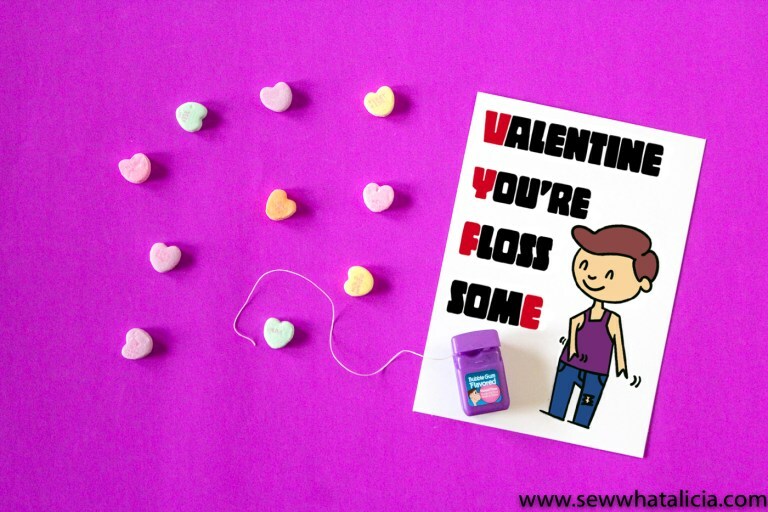 I love this punny Floss Some Valentine that combines the popular dance move “The Floss” with a healthy Valentine’s gift! 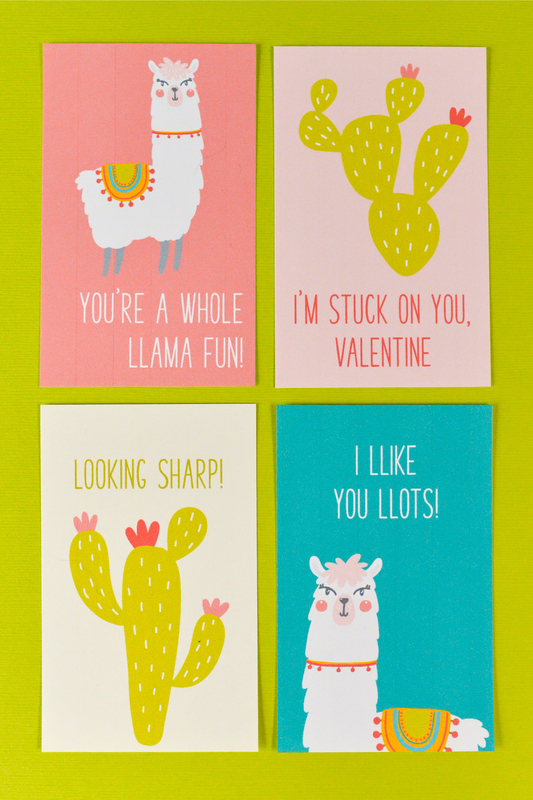 Llamas and cacti are a popular combination this year, and these llama and cactus valentines are a great example of the hot trend! 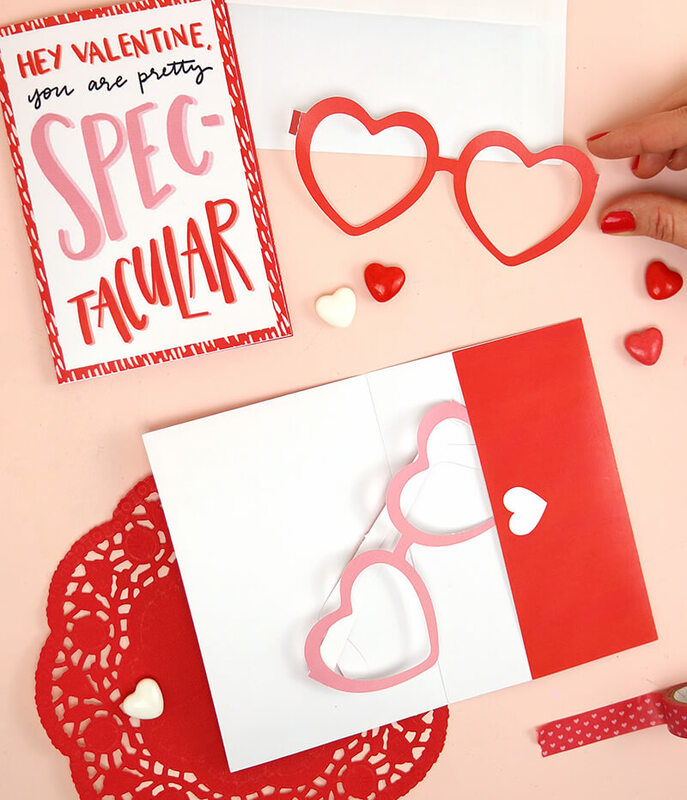 These spec-tacular glasses valentines are SUPER awesome! Get the printable glasses along with two different Valentine’s Day cards! 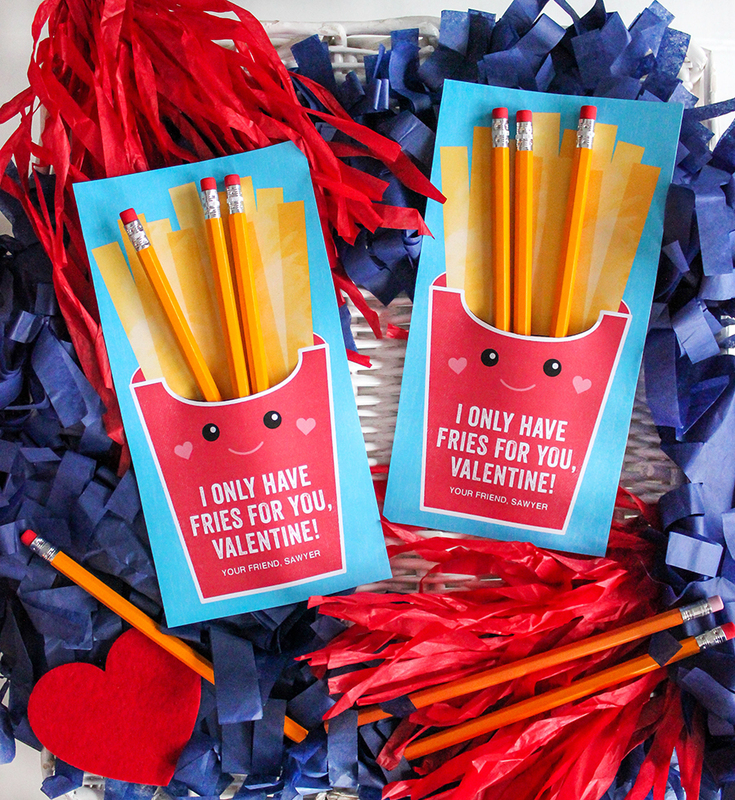 These awesome french fry valentines cards might be my most favorite printable valentines ever! Super cool and SO much fun! 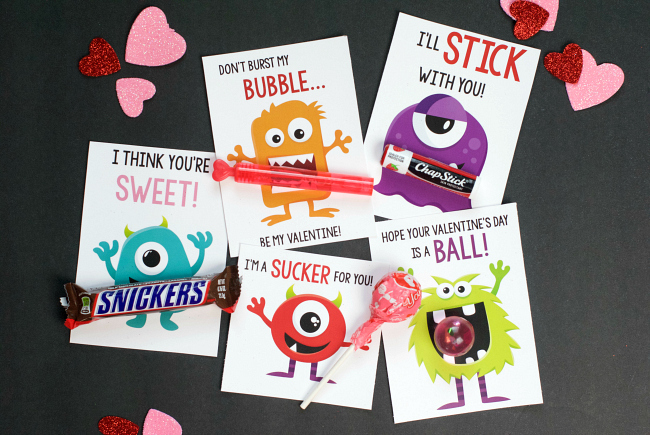 My favorite thing about these silly monster valentines is that each one incorporates a different fun Valentine’s Day treat! 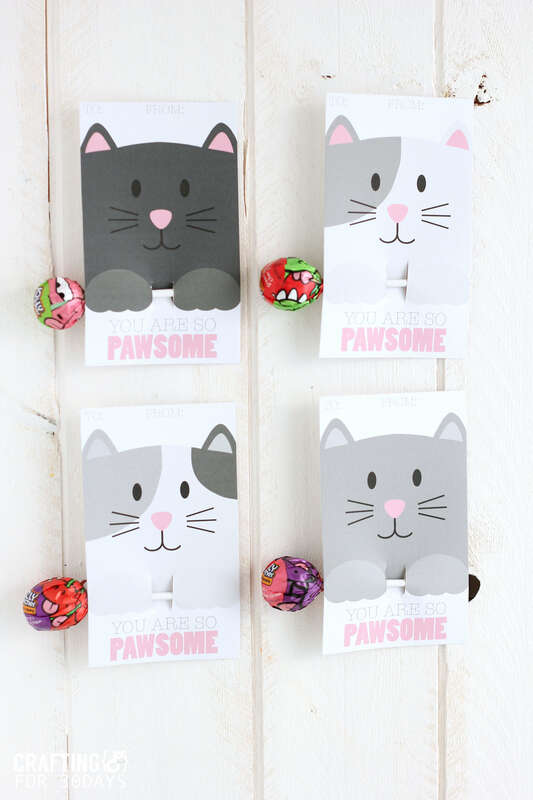 These sweet kitty cat valentines are super pawsome and cute! 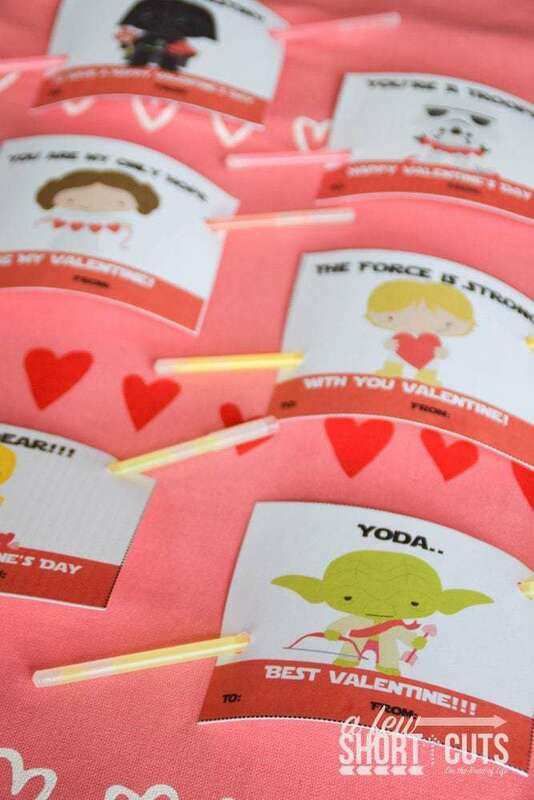 Your Star Wars fan will love these printable Star Wars cards with glow stick light sabers! 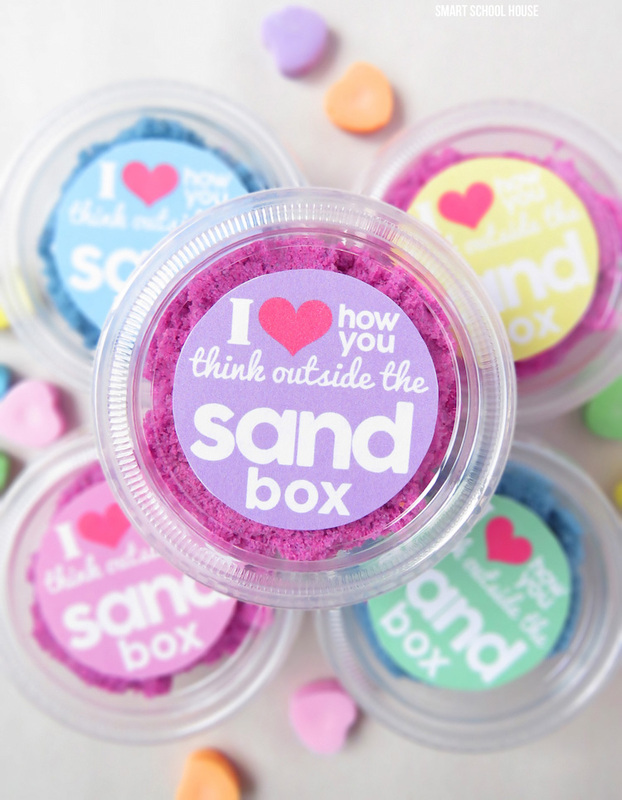 My family loves to play with kinetic sand, so I know that these punny kinetic sand valentines would be a great hit with all ages! 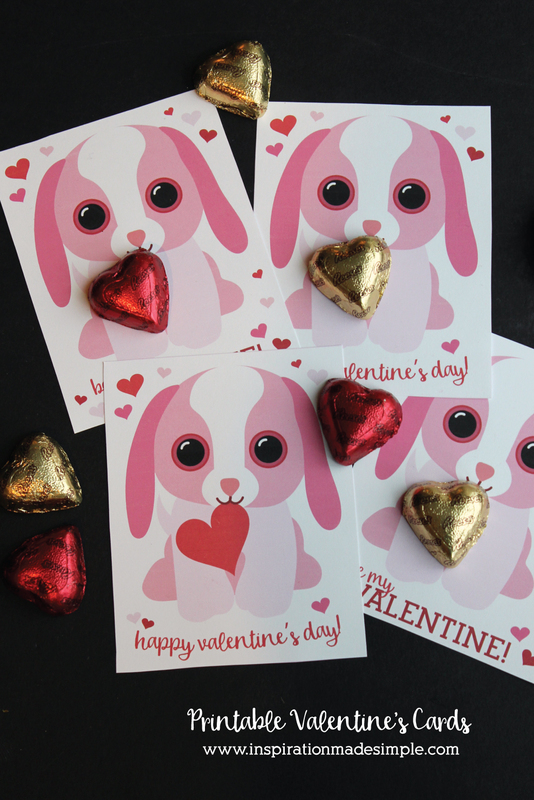 Your little puppy lover will adore these cute puppy dog Valentine’s Day cards (with or without the added chocolate treat!)! 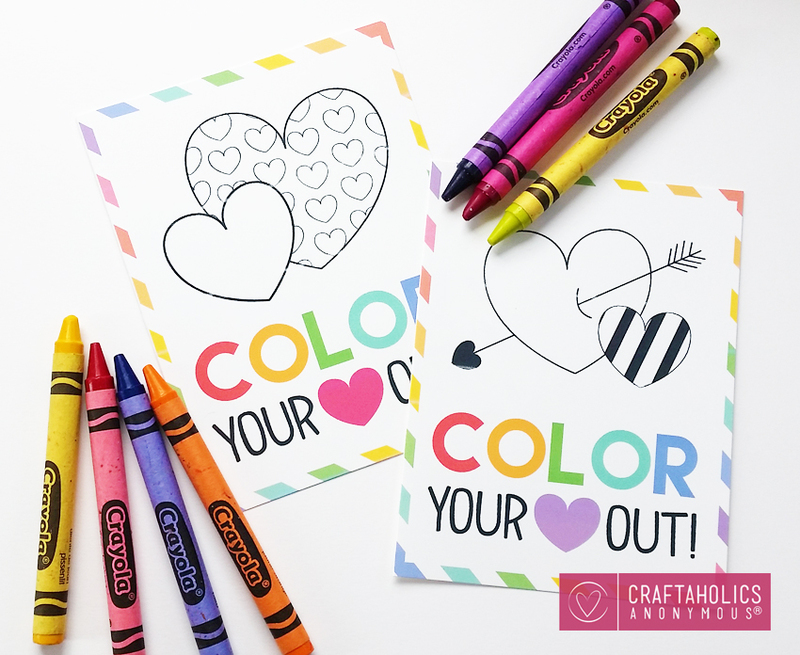 These coloring page Valentine’s Day cards are super cute, colorful, and interactive – you can’t get much better than that! 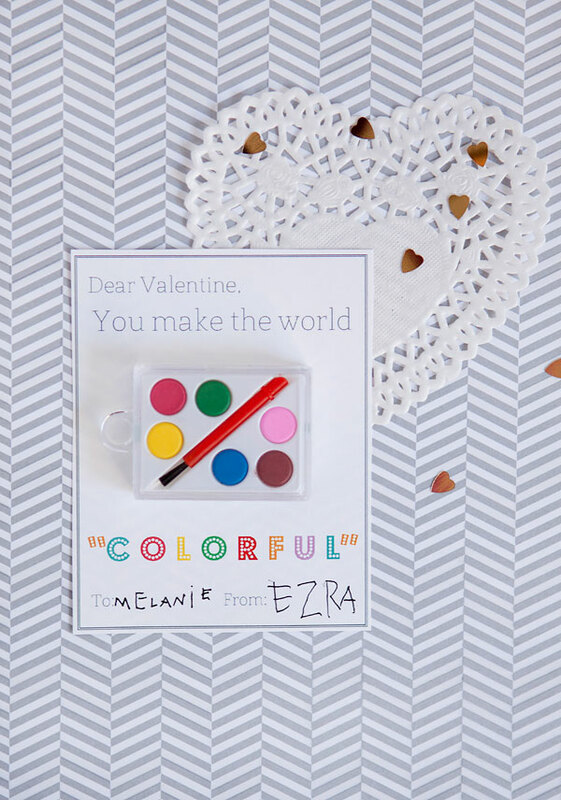 If you liked the coloring valentines cards, you’re going to LOVE these adorable watercolor valentines! 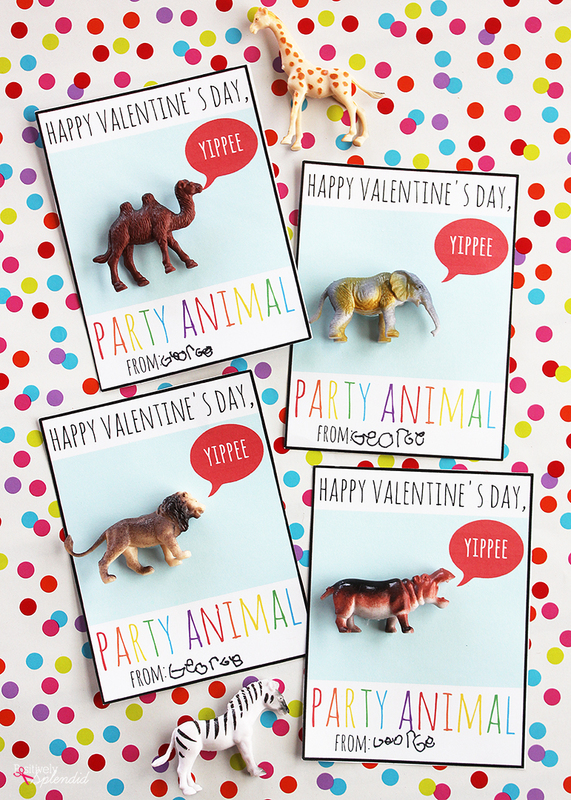 These fun animal valentines cards are perfect for your little party animal! 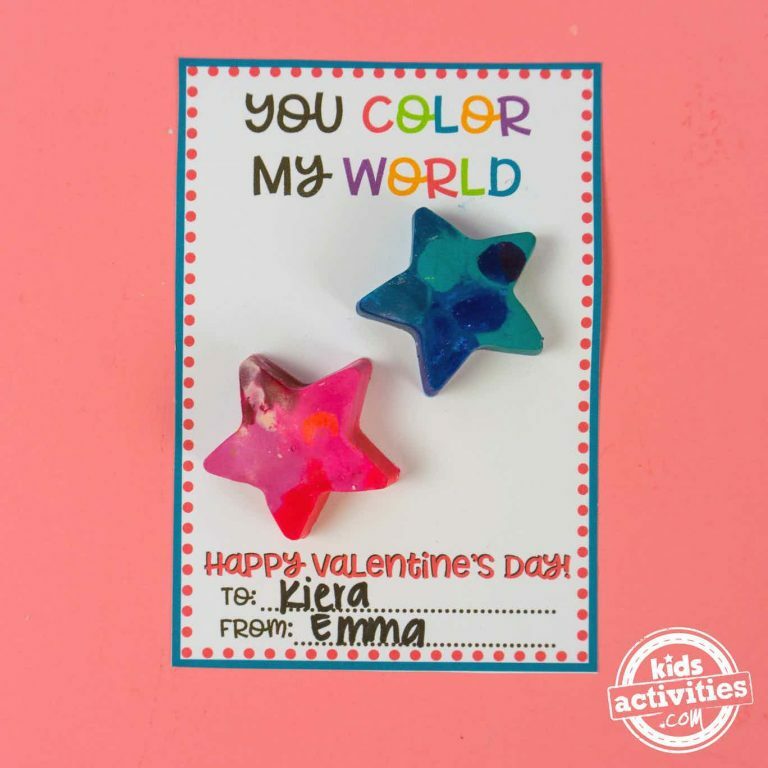 DIY galaxy star crayons are the perfect addition to these crayon valentine cards! 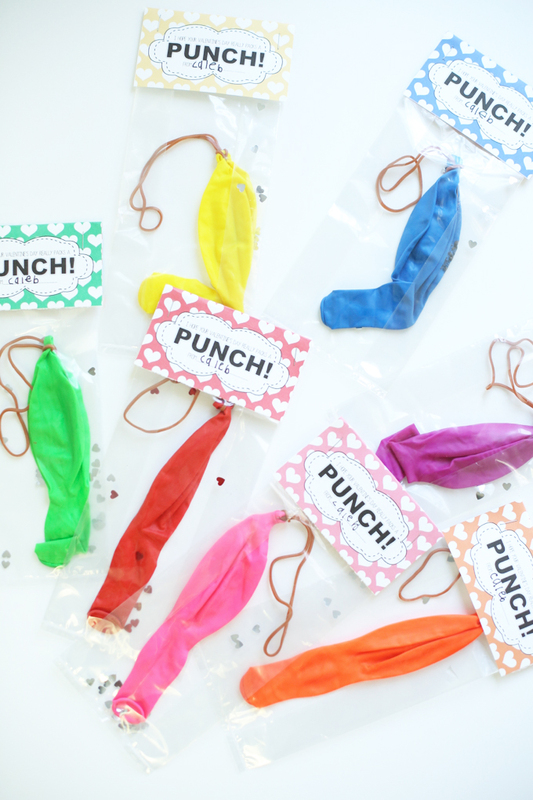 Punch balloons are always a huge hit with kids of all ages, and these punch balloon valentines make a great Valentine’s Day treat for your friends and family! 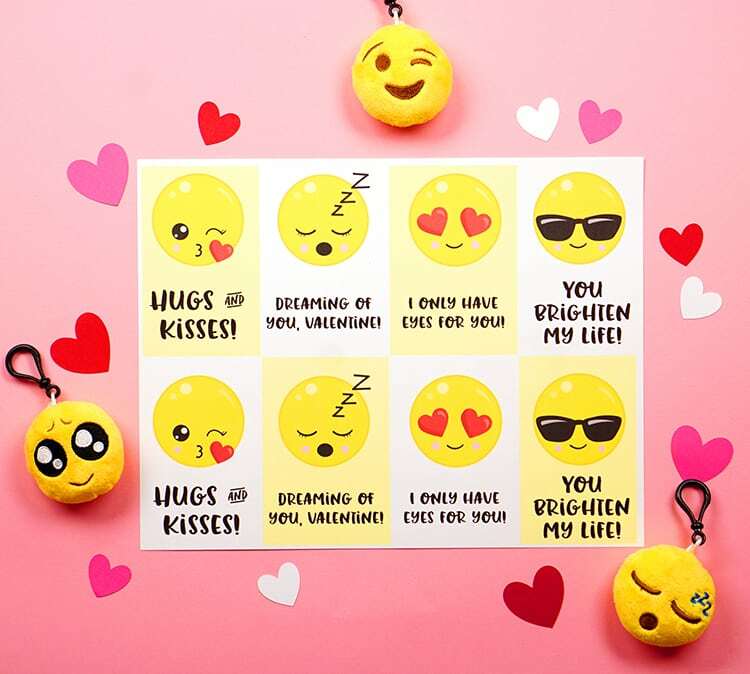 Pair these fun printable Chapstick valentines with your favorite lip balm or gloss for a thoughtful Valentine’s Day gift! 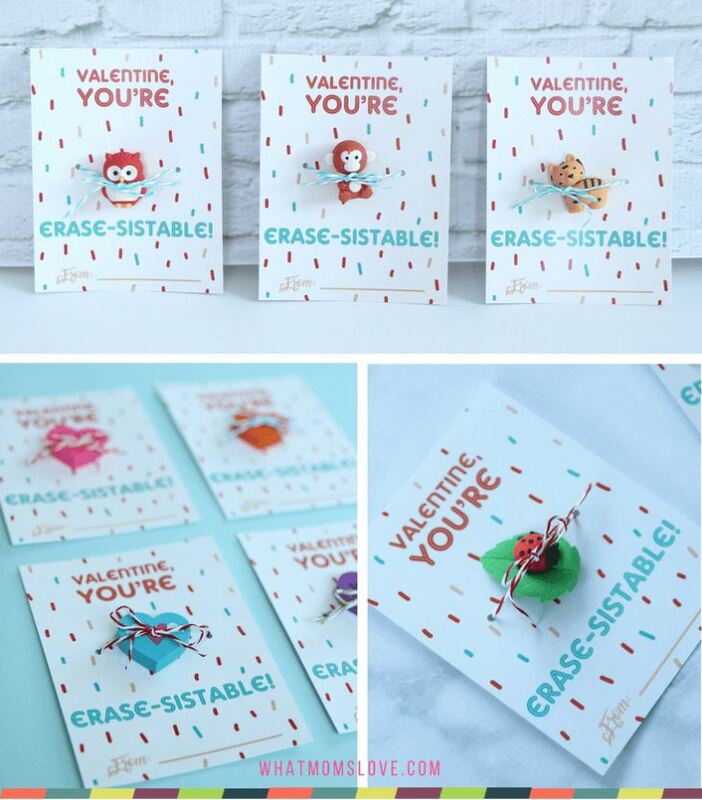 These fun eraser valentine cards are extra awesome because you can pair it with any type of novelty eraser that your heart desires – there are a TON of options! 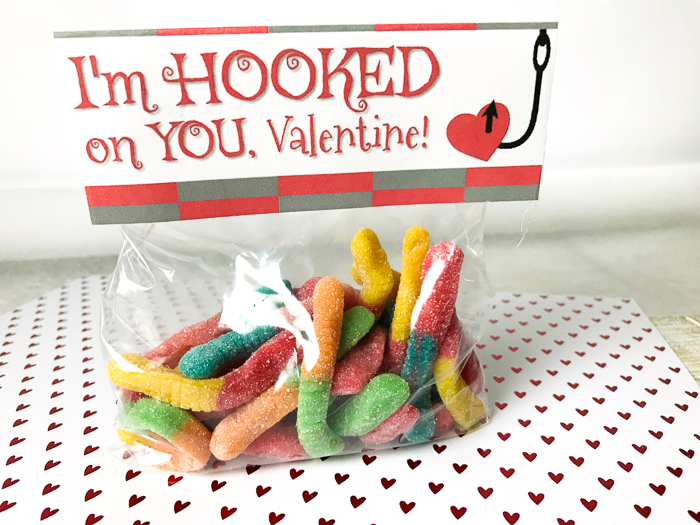 These yummy “hooked on you” valentines are lots of deliciously punny fun! 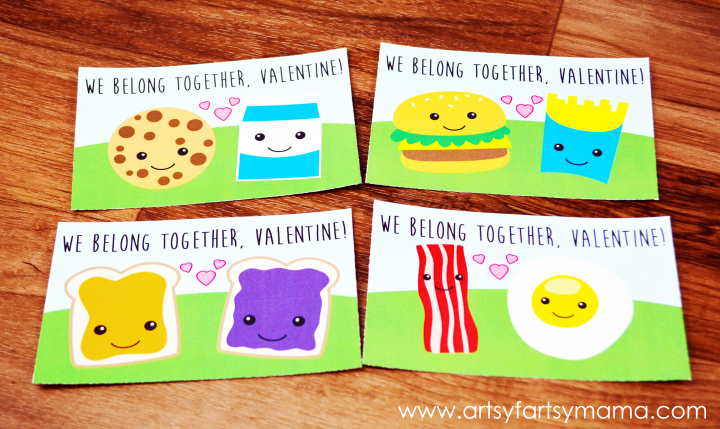 I love, love, LOVE these “We Belong Together” valentines! Super cute! 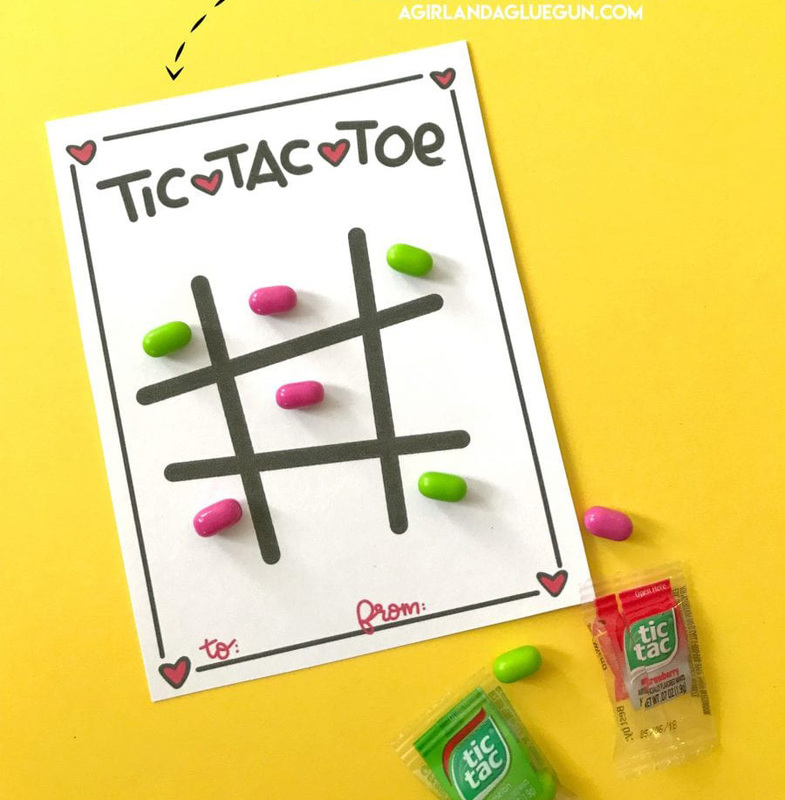 How cute are these tic tac toe valentines cards featuring actual Tic Tac candies!? LOVE! 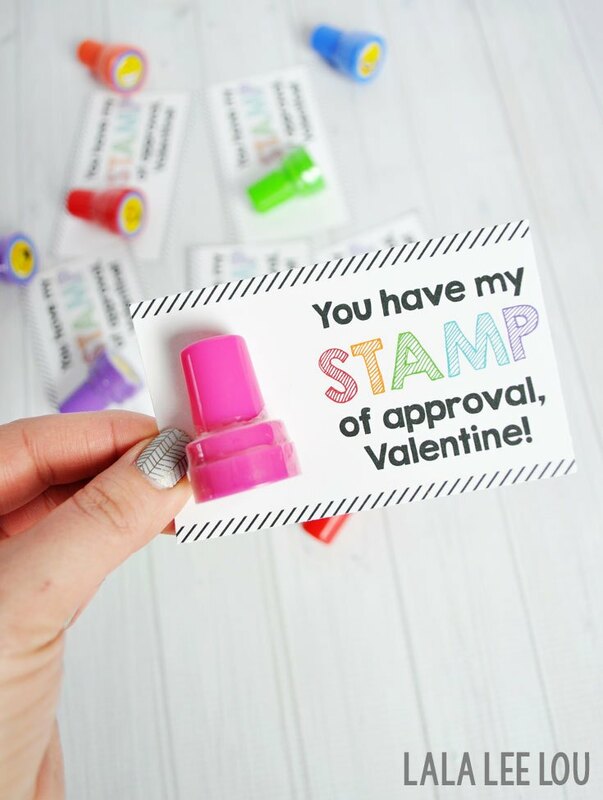 I love these fun “Stamp of Approval” printable valentines, and there are tons of different stamp options that you can use with them! 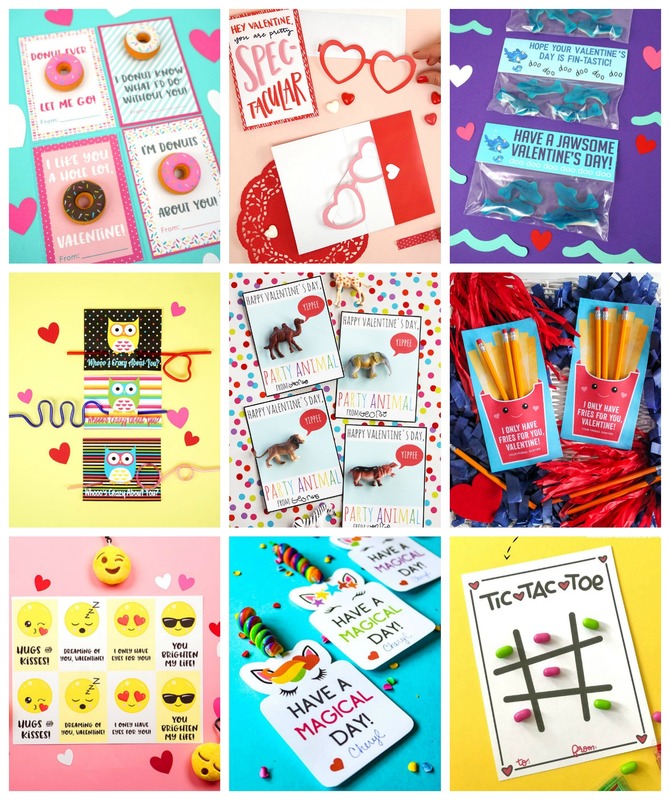 No matter what style of valentine you prefer, there’s sure to be something for everyone in this fun collection of printable valentine cards! I hope you found a new favorite! Pin these Printable Valentine Cards for Later! 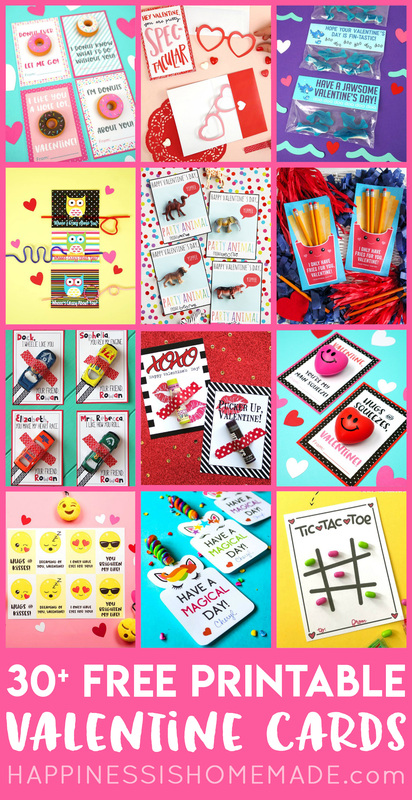 Thank you so much for including my valentines in this awesome collection! I love all of these fun, creative ideas!! What a great resource to have them all in one place! Thanks again! 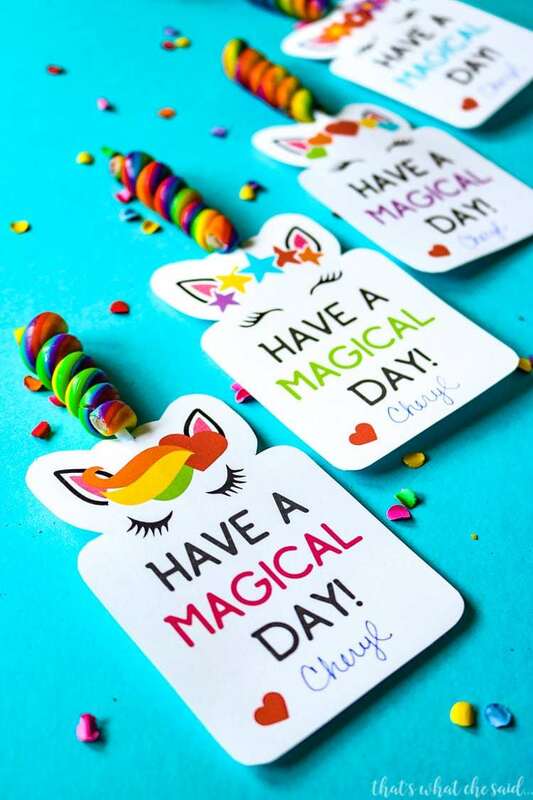 Thank you so much for the wonderful free printables you offer. The Valentine’s Day cards are adorable & will delight all my grandchildren. I’m so appreciative for these since I’m unable to get to a store very often. Thanks again.